Stylish, yet practical. The Loop range of products have been designed to complement any home. Products from laundry baskets through to smaller storage solutions in the same design, to store pegs or laundry products in, toiletries in the bathroom or to keep any room organized and store jewellery, make up and more. 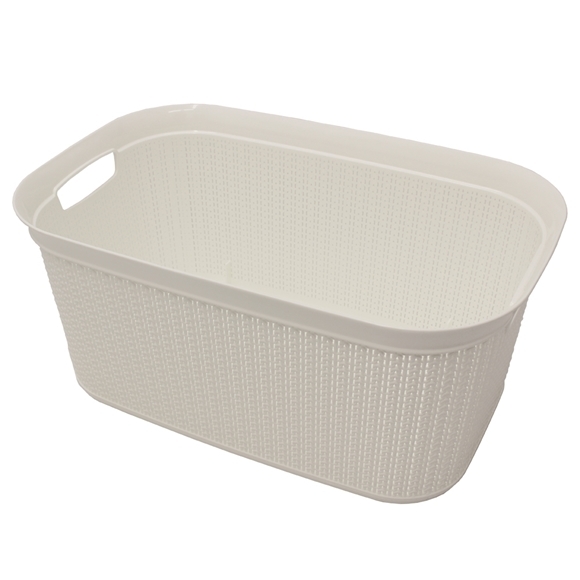 The entire range is easy to clean with good ventilation and feature carry handles. Double up as storage for toys or magazines etc. Size: H: 26 x W: 57 x D: 37cm approx.